In just 10 months, the Nintendo Switch has already sold more units than the PlayStation 2 did in its freshman year. After missteps with both the Wii and Wii U, the console finally seems like Nintendo's proper successor to the Nintendo GameCube. One way Nintendo is doing this is by embracing indie games, encouraging small studios and developers to bring their titles over to the Switch to reach a growing audience. In theory, that's an excellent idea. But landing on the Switch can take time. And while some developers love working with the console, not everyone is lucky enough to get a shot. In the U.S., Nintendo of America decides each developer's fate. Rejection is a death sentence for creating games on the Nintendo Switch. Approval, on the other hand, can give small independent studios the kind of exposure they need to create game after game on one of the world's most innovative new consoles. Compared to Wozniak, Vertex Pop founder Mobeen Fikree has had better luck working with Nintendo of America. His title Graceful Explosion Machine landed on the Switch on April 6, 2017, making his game one of the first indie titles to hit the platform. The game is an arcade side-scrolling shooter where players pilot the titular Graceful Explosion Machine and eliminate waves of enemies at a time. It also features a looping level design with the ability to flip from right to left and vice-versa to track down targets. And after completing each level, players can compare their scores and see if they performed better than their friends. "Graceful Explosion Machine came from wanting to design a 'feel good' action game: Something with overwhelmingly intense action and deep mechanics, but also easy to pick up and accessible to a variety of players," Fikree told The OP. "It started with the idea of having four weapons the player could switch between effortlessly, and grew from there." It's easy to see how the Nintendo Switch works well with Graceful Explosion Machine. 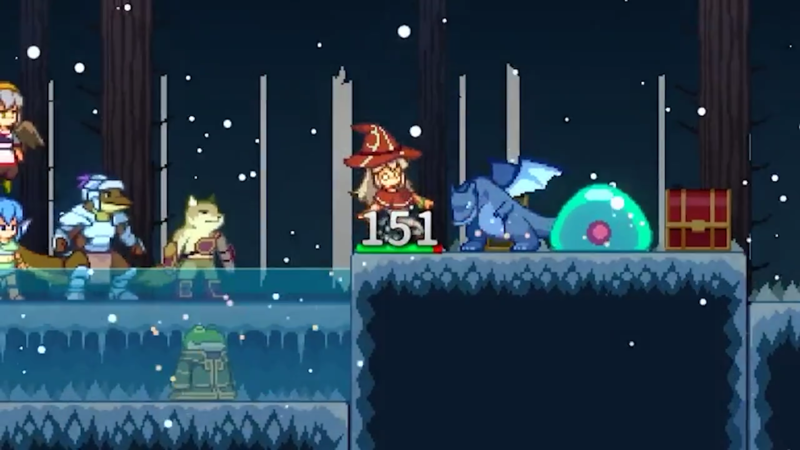 The game's arcade combat means players can quickly drop in and drop out, playing a few levels on a subway or bus ride before continuing their day. Fikree, who serves as Vertex Pop's designer and programmer, said developing the game's hybrid handheld and TV display modes "wasn't too difficult," as Nintendo worked with Vertex Pop "every step of the way." "When the Switch was initially revealed, I thought it was such a fresh and interesting take on the home console, and that alone got my immediate attention," Fikree said. "I was interested in a console that worked seamlessly in different contexts, from the big screen at home, to a portable on-the-go device, to something more social." "Nintendo were with us every step of the way, and it made things a lot easier." In other words, balancing the game and refining its level progression took precedent. Fikree and his team didn't fumble with the Nintendo Switch's development kit, because Nintendo of America walked his team through the development process. And since Nintendo was able to help Vertex Pop navigate the console-specific obstacles that come about during game development, developing for the new system was, despite its unique premise, surprisingly easy. "Graceful Explosion Machine was a launch window title, so everything Switch-related was pretty top secret at the time," Fikree told The OP. "Since it was a new platform, we were figuring things out that nobody had really done before. But Nintendo were with us every step of the way, and it made things a lot easier." While Fikree had a largely positive experience with the Nintendo Switch, that certainly isn't the case with every game developer. Axiom Verge was reportedly unable to land on the Switch for the console's launch because Nintendo delayed confirming the game. Zeboyd Games implored fans to contact Nintendo of America so it could bring its RPG Cosmic Star Heroine over to the Switch. And a 25th anniversary port for the controversial FMV title Night Trap was rejected shortly after Nintendo considered bringing the game to the system, according to the anniversary edition's developer. The Switch might be new, but Nintendo of America's old habits seem alive and well. It's well known that Nintendo of America rigidly pushed a "family-friendly" catalog during the '90s, going so far as to reject publishing games with sexually suggestive scenes, explicit religious commentary, political statements, or drug usage, just to name a few. Even as recently as 2012, Nintendo ran into issues with Edmund McMillen, after the company wanted to censor The Binding of Isaac on Nintendo 3DS due to "questionable religious content." Wozniak, who works as a developer and publisher with Wolfgame and Poppy Works, has grappled with problems of his own while trying to bring games over to the system. 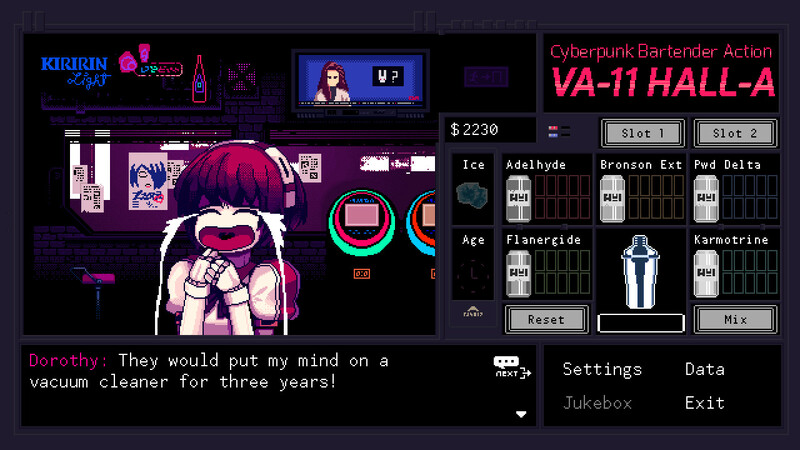 Wozniak regularly collaborates with indie developers to publish their games, such as porting Sukeban Games' VA-11 Hall-A over to PlayStation Vita. But while working to get his partners' games published, he faced multiple rejections for Switch games from Nintendo of America. Of particular note, one title was shot down after he introduced a game that deals with mature themes. "It's a short and sweet game where two people have a conversation," Wozniak explained to The OP. "It's an adult situation, but there is no what you would call 'adult content' in it. Specifically, this was mentioned as being exactly what they were looking for, but too mature." Wozniak feels Nintendo of America makes exceptions for major publishers that deal with adult themes while rejecting indie games willing to take the same risks. From his perspective, this is somewhat hypocritical, as the company is more than happy to publish games like Skyrim, DOOM, and Wolfenstein II: The New Colossus for Switch users when Bethesda is behind the wheel. In comparison, he believes Nintendo of Europe and Nintendo's Japanese headquarters are much more flexible about accepting indie game pitches. Wolfgang Wozniak ported 'VA-11 Hall-A' to PlayStation Vita. Image via Sukeban Games. And because Nintendo vertically controls how games are produced and released for the Nintendo Switch, if a game is rejected by Nintendo of America, and a publisher doesn't have access to a Nintendo headquarters within another region, then their game won't be able to land on the Switch at all. "Once you are set up on any platform to be a developer or publisher, getting titles approved for concept is different than the initial submission you need to make to get set up for hardware, etc," Wozniak said. "This means that studios who have been given a greenlight in this way are able to effectively start their own publishing business with this approval." The Nintendo Switch might be new, but Nintendo of America's old habits seem alive and well. That's not to say Wozniak is dissuaded from developing on the Switch. He's worked with Nintendo of America before to publish Dungeon Hearts DX on the Wii U, and he finds Nintendo of America's documentation and hands-on production approach "second to none." He also believes the Switch is "the most exciting of the systems available to develop for right now," because it seamlessly merges mobile, social, and console gaming into one device. But until Nintendo of America defines its requirements for indie publishers more clearly, the future looks ambiguous for Wozniak. And his story is a reminder that some developers are shot down from creating games for the Switch before they even receive a development kit. "I'm certain that we'll be able to bring Switch owners something special in the future, but I am uncertain as to when that future will be," Wozniak told The OP. Every new console has growing pains. And when it comes to Nintendo, the Switch has a lot to prove. 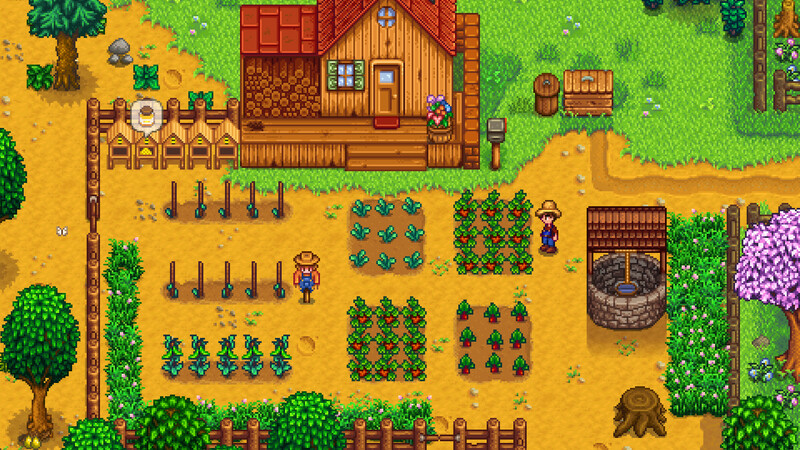 Between Stardew Valley, The Binding of Isaac: Afterbirth+, and Shovel Knight, it's clear Nintendo wants players to see the Switch as a place where innovative indie games can be enjoyed on a big screen or played on-the-go. That's most likely one of the reasons why Graceful Explosion Machine landed on the console, after all. The Nintendo Switch represents a huge possibility space for the types of games you can create. But unlike PC indie game development, Nintendo ultimately controls who is published on the Switch. And that means some developers may have an easier experience getting onto the Nintendo eShop than others. Sometimes, a problem as complicated as bureaucracy gets in the way, even though Nintendo's new console is changing how people play games. "The Nintendo Switch represents a huge possibility space for the types of games you can create," Wozniak told The OP. "In theory, with the right library, it will be the ultimate way to play at home, on the go, and to beat your friends at a party in a game of Windjammers." In the end, the Switch is a new console. Nintendo may need time to figure out what it wants its indie selection to look like. But as for indies who have created with the system, well, it's hard to stop once the first game is out. And that will certainly keep both Fikree and Wozniak inspired to keep working with Nintendo. 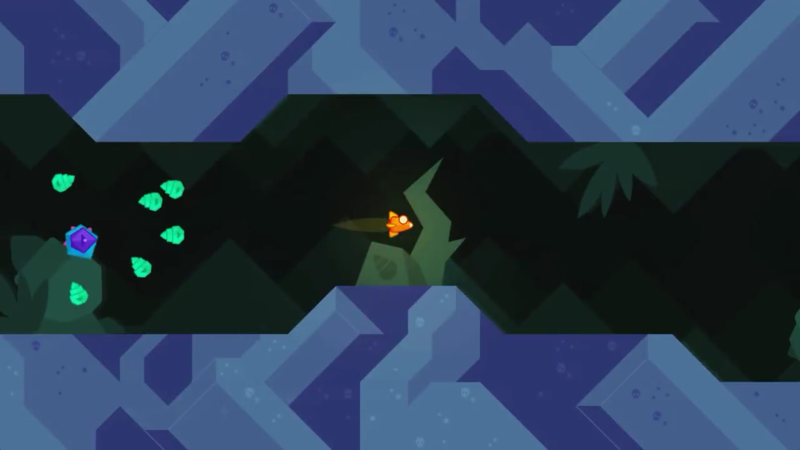 "We were overwhelmed with the reception Graceful Explosion Machine received from Nintendo fans, so we're definitely working on a new game for the Switch," Fikree told The OP. "As a developer, I've always dreamed about how exciting it would be to work on a launch title for a brand new console, so this whole experience was definitely a dream come true for me."